The Apple iPhone XS and iPhone XS Max feature a 5.8-inch and 6.5-inch all-screen design, with powerful A12 bionic chips and a breakthrough dual camera system. The 12-megapixel dual camera system features dual optical image stabilisation with 2x optical zoom, while a new sensor is twice as fast. Other photography features include advanced depth segmentation using the Neural Engine, Smart HDR creating photos with high dynamic range and great image detail, advanced bokeh quality in Portrait mode photos and dynamic depth of field that is user adjustable in the Photos app. iPhone XS and iPhone XS Max will be available for pre-order beginning Friday, September 14 and in stores beginning Friday, September 21. iPhone XS and iPhone XS Max will be available in 64GB, 256GB and 512GB capacity models in space grey, silver and a new gold finish starting at £999 and £1,099, respectively. iPhone XS and iPhone XS Max build on the all-screen design of iPhone X and feature the sharpest displays with the highest pixel density of any Apple device. Now offered in 5.8-inch and 6.5-inch sizes,1 these Super Retina displays with a custom OLED design support Dolby Vision and HDR10 and have iOS system-wide colour management for the best colour accuracy in the industry. iPhone XS and iPhone XS Max offer a million-to-one contrast ratio with remarkable brightness and true blacks while showing 60 percent greater dynamic range in HDR photos. iPhone XS Max delivers a more immersive experience with over 3 million pixels for videos, movies and games, offering the largest display ever in an iPhone in a footprint similar to iPhone 8 Plus. The next-generation Neural Engine is built for advanced machine learning in everything from photography to augmented reality. A new eight-core design allows it to complete up to 5 trillion operations per second compared to 600 billion in A11 Bionic. This enables new capabilities like faster plane detection for ARKit and new features that use real-time machine learning. For the first time the Neural Engine is open to Core ML, empowering developers to build apps that utilise this highly efficient machine learning engine. Core ML® running on the A12 Bionic Neural Engine is up to nine times faster than on A11 Bionic, with as little as one-tenth the energy usage. The 12-megapixel dual camera system features dual optical image stabilisation with 2x optical zoom, while a new sensor is twice as fast. Smart HDR creates photos with more highlights and shadow detail. Larger and deeper pixels improve image fidelity and low-light performance. Advanced depth segmentation in Portrait mode enables more sophisticated portraits with professional-level bokeh. New Depth Control allows users to dynamically adjust the depth of field in the Photos app both in real-time preview3 and post-capture to create portraits with a beautiful background blur. Portrait mode with Depth Control is also available on the TrueDepth camera for selfies, which includes Memoji and faster face tracking support for third-party ARKit apps. iPhone XS and iPhone XS Max deliver the highest quality video capture in a smartphone. The larger pixels and larger, faster sensor enable improved low-light performance and video stabilisation, as well as extended dynamic range for more highlight and shadow detail in video modes up to 30 frames per second. Using the four built-in mics, users can also record stereo sound to get the most out of video recordings. iPhone XS and iPhone XS Max will be available in 64GB, 256GB and 512GB capacity models in space grey, silver and a new gold finish starting at £999 and £1,099, respectively, from apple.com, in the Apple Store app and Apple Stores, and is also available through Apple Authorised Resellers and select carriers (prices may vary). Through Apple’s iPhone Upgrade Programme, customers in the UK can get iPhone XS and iPhone XS Max with the protection of AppleCare+, choose their carrier (no multiyear service contract required) and have the opportunity to upgrade to a new iPhone every year. 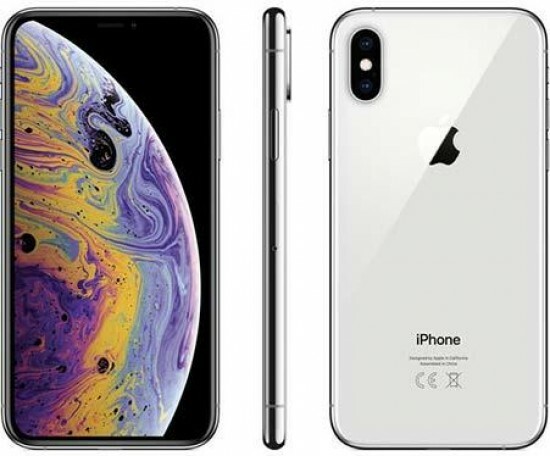 The iPhone Upgrade Programme is available for iPhone XS and iPhone XS Max at apple.com and Apple Stores in the UK with low monthly payments starting at £56.45 and £61.45, respectively, with 0% interest. Apple-designed accessories including leather and silicone cases in a range of colours will be available starting at £45, while the iPhone XS and iPhone XS Max Leather Folio will be available at £99. With Apple GiveBack, customers can trade in their eligible device for an Apple Store Gift Card.6 If their device isn’t eligible for credit, Apple will recycle it for free. Every customer who buys iPhone XS or iPhone XS Max from Apple will be offered free Personal Setup in-store or online to help them customise their iPhone by setting up email, showing them new apps from the App Store and more. Anyone who wants to learn more or go further with iPhone XS, iPhone XS Max or iOS 12 can sign up for free Today at Apple sessions at apple.com/today.